Who is SC Cleaning? 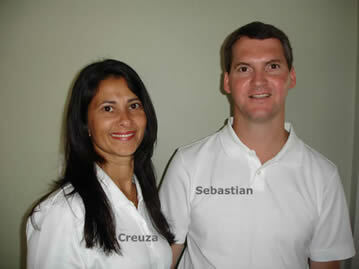 We are a small wife and husband cleaning company. We have been servicing the Greater Boston since 2002. To add peace of mind to both of us, we are an insured company. Who do we differ from the other house cleaners? Our focus is on Natural Cleaning products. Not everything can be cleaned thoroughly with Natural products, but we try very hard. We don't want to say here that I am better than anyone as a house cleaners. All we can say is that we have a lot of experience cleaning houses. Our references are the greatest evidence that we are doing a fantastic work. Our promise to you: We will be the most dedicated, the most committed house cleaners you can find anywhere. We value the chance you are giving us to clean your house. Your house will be cleaned with love and extreme care. Each and every single time. What criteria should you use to select a house cleaner? We would say, use care. Call the cleaner. Find out everything you can about the person. Have a meeting. Have a "trial" cleaning. Only then, pick your choice. Or if you prefer, just pick us, We are confident we are the right ones.